The Travel Scientists have cooked up a brand new adventure rally – the Great Balkan Ride is kicking off in Sarajevo, traversing the Balkans and ending with a huge party in Sarajevo. Seven brave teams, all experienced road warriors took on the challenge. 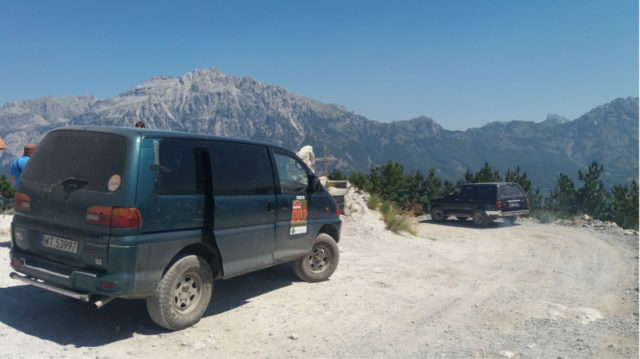 After the handover of the rally gear for the Great Balkan Ride and a briefing by the Travel Scientists in Bosnia and Herzegovina’s capital Sarajevo, our teams were sent off to explore the Balkans. 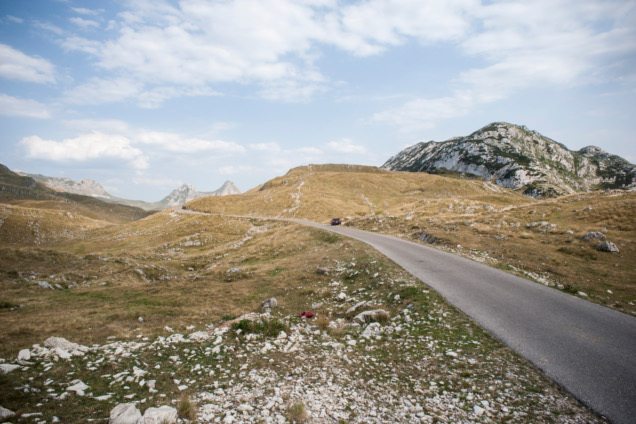 Because Montenegro has it all: food, winding roads, the sea and impressive mountains. One minute you are in the Scottish Highlands, the next turn brings you to Alps or even the secluded glacier lakes of Canada – Montenegro is incredibly versatile. 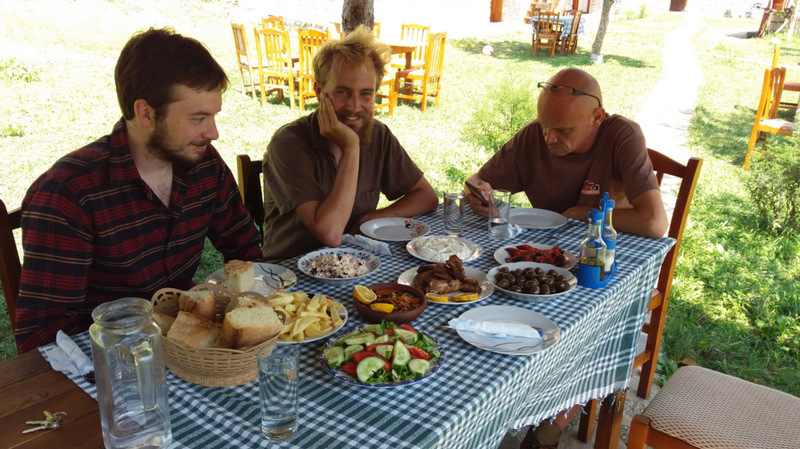 Crossing the Balkans on a diet? Impossible! The bread is delicious, the vegetables for the tomato-cucumber salad come directly from the garden and the piles of grilled meat are huge! Complimented by delicious dips, side dishes, olives and LOTS of garlic, it’s not easy to ever stop eating. 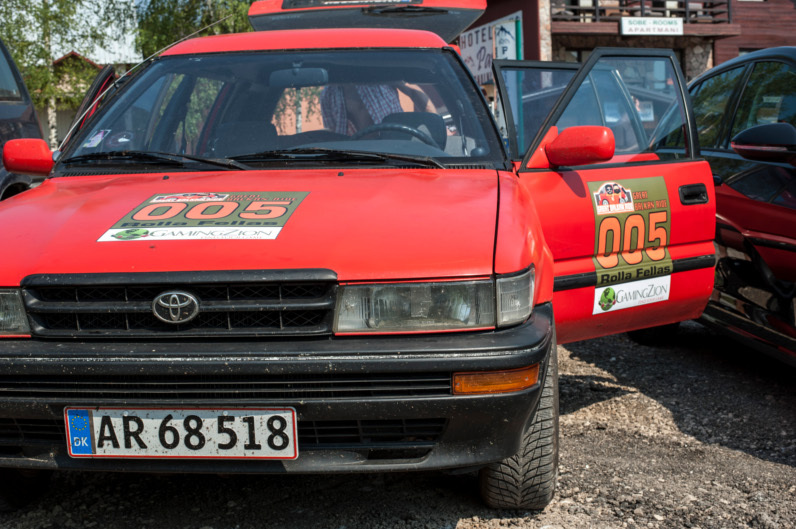 Team Rolla Fellas had to leave behind their trusted Lola the Corolla on a dusty mountain road somewhere between Shkoder and Thethi. Driving with only three tyres just doesn’t work so well. Luckily Team Big Sock, Wee Feet was right behind them and took the rally participants turned hitchhikers with them to the day’s destination Thethi, one of Europe’s most secluded villages, where Teahm Rolla Fellas drowned their sorrow in beer and rakia, with loyal support of all the other teams. If they will ever see Lola again? 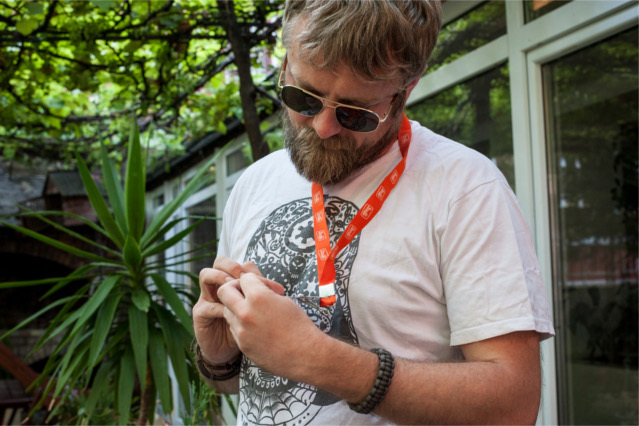 Stay tuned for the second part of our Balkan Ride recap!